Courtesy of Long Realty Uptown. 3092 Square feet home on one of the few remaining large corner lots in Central Phoenix. The 202 square feet of the storage room is not included in the square footage of the home. This large family home is in the exceptional Madison Elementary District #38. PLEASE SEE SUPPLEMENTAL REMARKS FOR A COMPLETE DESCRIPTION OF THIS BEAUTIFUL HOME! Directions: From 16th and Bethany head north on 16th to Rose Lane, turn left onto Rose Lane to 14th Place, turn right onto 14th Place to 15th St. Turn right onto 15th St., residence is on your right. Full floor update in Many. Partial wiring update in 2013. Partial plumbing update in 2013. Full heating and cooling update in 2010. Full roof update in 2014. Full kitchen update in 2006. Partial bathroom update in 2018. Full pool update in 2005. Approximate size: 12632.00 sq. ft. Please, send me more information on this property: MLS# 5790883 – $499,900 – 6215 N 15th Street, Phoenix, AZ 85014. 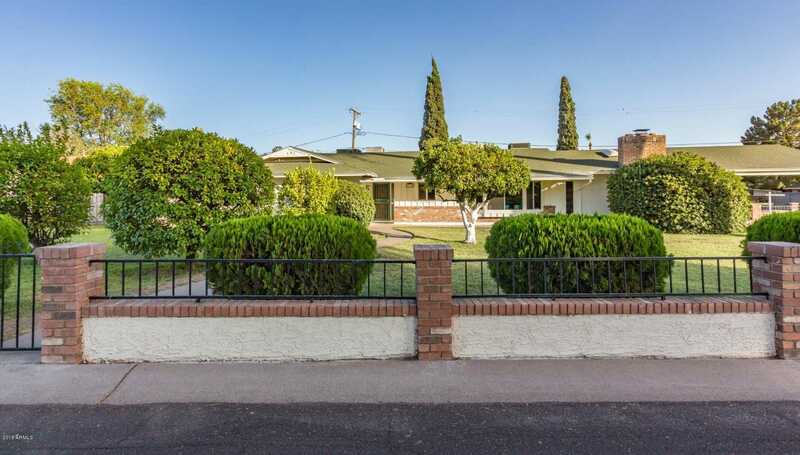 I would like to schedule a showing appointment for this property: MLS# 5790883 – $499,900 – 6215 N 15th Street, Phoenix, AZ 85014. Select the items on the page that you would like to print. This "Print Options" block will not be printed.